Raaga.com: Bollywood’s popular trans- woman Bobby Darling finally to tie nuptial knot! 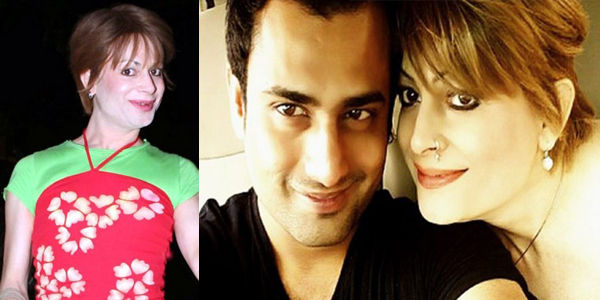 Bollywood’s popular trans- woman Bobby Darling finally to tie nuptial knot! After many failed relationships Bollywood’d popular trans-woman Bobby Darling has finally found her sweet-love and officially announced that she would be tying the pious nuptial knot this November with a Bhopal-based businessman Ramneek Sharma. It may be remembered that Bobby Darling has been in news for many affairs in the past like she was linked to cricketer Munaf Narula. Later she was seriously involved in relation with struggling actor Ankit Sharma but each time she faced disappointments and humiliations by the society. In fact in she had her first relationship when she reached her class XII but her parents were against her sexual preference. Hence she dared to elope with her boyfriend but too her disillusionment the relationship too could not materialize as her boy friend’s family declined to accept a trans-woman as their bride! In utter frustration Bobby Darling had attempted suicide by consuming phenol fortunately her father rescued her. However after a tooth and nail struggle in Mumbai she triumphed over her shortcomings and was able to prove her histrionics in acting. She did many films as gay like APNA SAPNA MONEY MONEY, KYAA KOOL HAI HUM and PAGE 3. Her popularity reached apex as she became the unanimous choice for gay men character in Indian cinema. In fact she went on to register her name in the prestigious Limca Book of Records for playing gay men character roles in as many as 18 Indian films. Today Bobby Darling is a popular celebrity in Bollywood however what is baffling is that after her marriage she might loss the tag of ‘Gay’ which had been the reason for her success. So the question is Bobby Darling sacrificing her career for her passion for marriage?